Previously at the October Jersey Jam, neither Kirkland nor Malafronte had showed anywhere near the type of pizzazz that they displayed at that Globetrotter game halftime performance. The Globetrotter tour certainly showed what practice, hard work and choreography can produce. 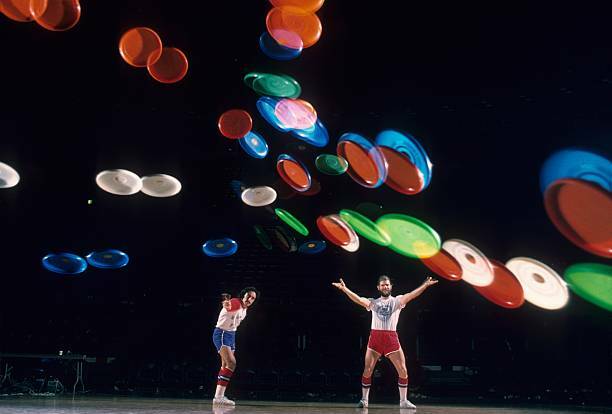 I have been told by John Kirkland that the flawless success I saw that night was typical of every exhibition they performed with the Globetrotters that year, and that they had only three for four drops or bobbles during the whole series! Regardless of how accurate that statistic might be, the performance that I saw that night was absolutely flawless. The 1974-74 Kirkland-Malafronte Globetrotter tour strongly foreshadowed the freestyle development that was to come about in subsequent years. Last Article | Next Article coming soon. Skip to 4:51 to see clips of Victor and John’s half time show. Very fun write up by Jim palmeri! Felt like I was in the audience with him, this was so we’ll described. Wish we could see the entire show. Thanks for posting this! 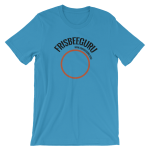 I was a member of the Rochester Frisbee Club in the mid to late 70’s. I hung with Dave Moore a lot. I just wanted to see if I could send my greetings to Jim Palmeri and find out how he was doing?